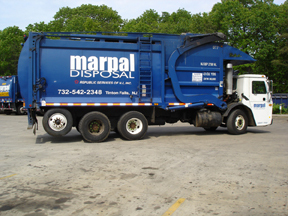 June 9 - Inovex Industries is proud to add Marpal Disposal, a Republic Services of N.J. Inc. company, to its growing list of waste hauler customers. 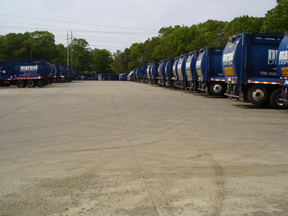 Marpal Disposal of Lincroft, New Jersey is one of several Republic Services divisions that are currently using Ride-On to improve their tire maintenance programs. Republic Services, Inc. is a leading provider of environmental services, including solid waste collection, transfer, disposal, and recycling services. Republic’s local operating companies provide solid waste services for commercial, industrial, municipal and residential customers. Republic Services’ 13,000 employees currently serve markets in 21 states (www.republicservices.com). Tires represent one of the largest O&M cost items for waste haulers. Waste haulers rely on Ride-On to help improve air pressure maintenance programs, reduce the number of flat tires and road service calls and in lowering overall tire expenditures. Ride-On TPS has more than 250,000 applications to attest to its effectiveness and is currently used by the nation’s largest waste haulers, more than 60 cities, municipalities, government agencies, more than 4,000 police vehicles and in thousands of tractor and trailer applications. Ride-On is available as an OEM item by the nation’s largest trailer manufacturers and through six of the ten largest commercial tire dealers.